NO Minutes will be carried over for these Monthly Plans. Only the PayGo cards offer the carry-over benefit. Any Minutes and Days of Service remaining on the phone will be erased once you apply these monthly plan cards. NET10 Prepaid offers users a low flat rate of $0.10/min on all domestic calls with absolutely no additional charges for nationwide long distance and roaming. With NET10’s unique combination of minutes and active service a user may carry over minutes from month to month with no expiration as long as the users service remains active within their specified due date. 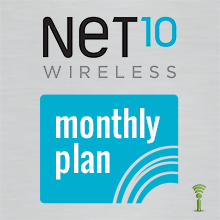 NET10 Prepaid Refill Minutes: Compatible with all NET10 Prepaid PAY AS YOU GO Wireless plans. If you are uncertain as to what type of NET10 Prepaid Refill Minutes Plan you may have, please call our professionally trained customer service representatives toll-free at 1-877-6-Get-PIN (1-877-643-8746) from 10am to 10pm EST 7 days a week or visit our Wireless Prepaid FAQ section or Email us at [email protected].